Do you think you need to know what you’re going say before you sit down to write? Holding that belief, often unconsciously, is a great way to keep from writing at all and an even better way to make writing an excruciating, bloodletting experience. For my first decade as a professional writer, I tortured myself with the assumption that I had to figure out whatever I was writing in advance. I opened a vein every time I put a word on the page. Not so surprisingly, I didn’t do much writing for the fun of it during those years, because writing wasn’t fun. It was interesting, it was rewarding, it was gratifying to be able to earn my living in such a cool way – but fun? Never – or at least rarely. Only when I was able to turn in my completed script. Then I was ecstatic. I wasn’t so much into writing as I was into having written. I was saved by deadlines, without which I would never have begun anything. I was saved by nightfall when the whole world slept and, pulling yet another all-nighter, I sat alone at my desk, looking out the window at a darkened, tree-lined street, empty of all humanity, checking my long hair for split ends while I waited for the words to come. I was saved by page after page of yellow lined paper inscribed with my messy long-hand. Sleep-deprived, over-caffeinated, and in the innermost of the witching hour, the words could finally appear, the ideas could flow, the solutions to writing problems could materialize – not exactly effortlessly but far more freely than in the glare of daytime when, inevitably, the reflexive belief that writing required advanced planning would once again reclaim its command over mind, heart – and pen. As seems fitting, it was writing that freed me. In the early 1990s, when I started leading journal-writing and other kinds of creative writing workshops, I would instruct my participants to write without thinking, without letting their pen leave the page and, most important of all, without any need whatsoever for their writing to be any good. It didn’t even have to make any sense. Timed exercises were the ticket to writerly freedom. One of my favorites was giving my writers five minutes to write their autobiography, an idea inspired by Deena Metzger’s brilliant book, Writing for Your Life. A deliciously impossible task, it often provoked unexpected insights and revelations (an unexpected bonus, never a requirement). Because it felt weird for me to sit at the front of the room doing nothing, I wrote along with them. Seeing me scrawl away in my notebook gave them permission to scrawl away in theirs, and doing the exercises gave me something to do besides stare at them like an examination proctor. When my trusty Tibetan bell announced that time was up, I stopped when they stopped. Writing in tandem with my participants, I freed myself as a writer. Timed writing continues to be a mainstay in my writing workshops and is part of my personal practice as well. I do it often, and in fact am doing it right now as I write this blog! Setting a timer for a short period of time is a great way to bypass that insistent message that you need to know what you’re going to write before you write it. The familiar advice, “get out of your own way,” when applied to writerly endeavors has always struck me as more annoying than helpful. However, I’ve come to understand it as finding a way to deactivate the inner fraidy-cat who doesn’t want any of us to write a single word unless certainty is guaranteed. Timed writing is a great way to do that. With the exception of grocery lists and the like, writing is not about certainty. At least not the kind of writing that makes your (and your reader’s!) soul sing. “Writing is the act of discovery,” says Natalie Goldberg, author of Writing Down the Bones and countless other wonderful books on writing. “We are writers, and we never ask one another where we get our ideas. We know we don’t know,” says the renowned Stephen King, author of 56 novels at last count and winner of countless writing awards. Lay down a path of words now, Dear Writer. Set your timer for five minutes and tell me the story of your life. This entry was posted in Creativity, Quotes, Writer Anecdotes, Writing Quotes, Writing Tips on September 12, 2017 by Donaleen. It’s not their fault that they think that way. They probably got that message as a child from a parent or teacher, who got it from a parent or teacher, who got it from a parent or teacher – and so the virus got spread. It doesn’t help that creativity is universally associated with participation in the arts – painting, writing, dance, theatre, photography, music or whatever. If you don’t do any of those things, how can you call yourself creative? And then there’s the commonly held belief that if your artistic efforts aren’t making you a rich and famous author, musician or movie star, what’s the point? These beliefs are so pervasive as to be invisible but they are living rent-free in the minds of most if not all of us. The thing is, they’re lies. Soul-sucking, confidence-quelling, dreck-depositing lies. Everyone is creative. Creativity is what makes us human and there are as many ways of applying it as there are people – raising a child, preparing a meal, teaching, gardening, constructing a shelter, building a business, solving a problem, making love, practicing the healing arts, devising a spiritual practice, decorating a home… These activities are not limited to the “gifted” or to the wealthy or to those drawn to the arts. They are fundamental to who we are. As for that message that your creative pursuit has to be a popular success in order to be worth anything, I had to face that one head on, just a few minutes ago. It followed from a decision I made yesterday — to write a novel. It’s been an unacknowledged longing in me, and it felt great to say yes to it. So this morning I got up early, looked through some notes for an unfinished screenplay that I’d abandoned but never forgotten, and began to consider how I could use it as a jumping off point for a novel. Wanda Whatsthepoint at my disservice! Remembering a great tip from the uncomparable SARK, I decided to give Wanda a job. Instead of using her critical eye to crush my spirit and cripple my creative efforts, Wanda could be a quality control inspector at a high-end garment factory — in Prague. Decent wage of 14,000 korunas a month, cool military-inspired uniform, and boundless opportunity to nitpick with impunity. Like magic, with Wanda happily engaged, the despond lifted from my soul and I lived to write another day. One of the best ways to apply the creativity that we all possess is to effectively dispense with the voices that deny or denigrate it. This entry was posted in Creativity, Writing Tips on August 23, 2016 by Donaleen. This post is part of a blog hop. I was invited on board by my talented friend, Glynis Whiting, author of A Nose for Death, the first title in her Nosey Parker murder mystery series. As a dramatist and filmmaker, Glynis brings a rich background to her mystery writing, which focuses strongly on character. Part of blog hopping involves linking with other authors. PJ Reece, author of works of YA fiction as well as the acclaimed Story Structure to Die For, is one of the smartest, most talented and disciplined writers I know. Read his post and be inspired. I met coach and author Jackee Holder at a writing retreat in Paris a couple of years ago. Her book, 49 Ways to Write Yourself Well, is one of my favourite resources on using writing to heal. I’m working on a nonfiction book about the journey of the suicide survivor – the one who is left behind after a loved one takes his or her life. I lost my brother to suicide ten years ago and feel a strong calling to explore a subject that is of central importance in our time. Suicide rates among 35-to-65-year-olds, the age range that my brother was in when he died, have increased by 28% in the last decade. There is also a growing recognition that suicide is more pervasive in our culture than the statistics would have us grasp; many deaths attributable to self-destructive causes could be deemed suicides. Suicide is a huge issue and gives rise to all kinds of questions – psychological, sociological, medical, existential, and spiritual. What can be more important than life and death? How does it differ from others in the genre? My book not only offers a multidimensional picture of how suicide impacts those who are left behind and of the many faces of grief, it also addresses suicidality in those who’ve lost a loved one in this way, particularly close relatives of the deceased. The risk of suicide among the surviving sibling is more than three times greater than that of the rest of the population and my book addresses that directly. This book offers an honest and vivid account of how my brother’s suicide impacted me and of my own struggles with suicidality. It also provides a range of tools for dealing skillfully with suicidal thoughts, for dealing skillfully with grief, and for using the opportunity afforded by the suicide of a loved one to craft a rich and meaningful life. The key to my writing process is to get at it first thing in the morning. It’s my best time of day and I’m happiest and most productive when I honour that intention. I have other things that I have to do that involve putting food on the table, and so I need to be disciplined in ensuring that I get at those writing projects that are close to my heart. I’m also working on developing the capacity to write in the middle of whatever’s going on in my life – to be able to find writing time, however short, in the midst of life’s other commitments and obligations so that if I’m not able to get at it first thing, I’m still getting something done that day. In addition to that, I book myself into writing retreats/intensives with fellow writers where we rent a space for a week or so, devote our days to writing on our individual projects, and then play in the evenings! I’m drawn to write on subjects that contribute to healing the human heart – and am inclined to believe that doing so contributes to healing at a global level. While there is cause for hope and optimism, it can’t be denied that this is a dark night of the soul in human history, and I feel a responsibility to bring light to that darkness. This entry was posted in Books, Suicide, Writing Tips on August 25, 2014 by Donaleen. I had never thought of myself as a perfectionist, but in a recent conversation with a friend who’s known me for many years, she casually said, “You’re like me. We’re both perfectionists.” We are? I am? What is a perfectionist anyway? I’ve always understood it to mean that you set high standards for yourself and for those around you; that you can be counted on to deliver a high quality performance, service, or product; and that you want nothing but the best in all situations. Isn’t that a good thing? Not according to Jungian therapist and author of Addiction to Perfection, Marion Woodman, who sees perfectionism as a consequence of an imbalance arising from a culture that emphasizes specialization and perfection, and as a major cause of eating disorders, substance abuse, and other addictive and compulsive behaviors. Maybe not such a good thing. This entry was posted in Creativity, Writing Tips on May 29, 2013 by Donaleen. Today is International Women’s Day, a time to consider the achievements and accomplishments of women all over the world. Lately, I’ve been thinking about the particular challenges faced by women in our quest to live according to our creative passions and inclinations. Although the specific history, sociology, psychology, and spirituality of women has been part of my consciousness at different points of my life, I’ve been less inclined to frame my and other women’s challenges in that manner in recent years. But it’s essential to take into account the distinct issues that are part of many women’s experience. Issues like always putting others’ concerns before our own, or of giving away our power to authority figures, or of being afraid of rocking the boat, of speaking too freely, of being too much! This entry was posted in Writing Tips on March 8, 2013 by Donaleen. The gremlins are sneaky. I’m talking about those evil critters whose sole purpose is to sabotage the forward movement of your creative life. You think you’re just taking care of business – dealing with your broken down car or your laundry or the membership applications for your housing co-op. These are all important matters, right? Dealing with them immediately means that you’re taking care of business, and once you’ve cleared the decks, then you’ll be able to get at your creative projects. This entry was posted in Writing Tips on November 16, 2012 by Donaleen. It’s 3:00 AM and here I am, wide-eyed as a marigold. But there is no sun to warm me and open up my petals to the light. Oh no. Instead I am surrounded by the dreaded demons of the night. Nasty phantoms of misery battering my weary, bed-rumpled self with messages of doom, hopelessness, and failure. This entry was posted in Writing Tips on May 1, 2012 by Donaleen. 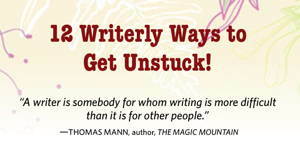 I’m thrilled to have one of my creative heroes, Dr. Eric Maisel, guest-posting on my blog today. He’s so extraordinarily productive (having authored 35 books and counting) that, if he weren’t such a nice guy, I’d have to hate him. I first encountered Eric’s work eight years ago when I was looking for resources to develop a course on Creativity that I was teaching at the Vancouver Film School. Eric’s The Creativity Book was a wonderful source of ideas and inspiration. 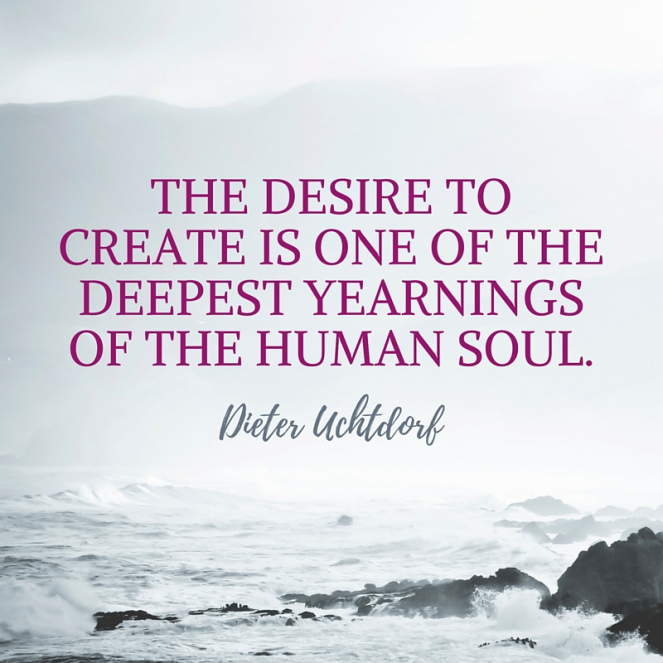 In more recent years, I picked up Fearless Creating, which formed the basis for my course, “Stoking Your Creative Fire,” which I will soon be offering as a teleclass. Eric is also the originator of the exciting 21st century profession, creativity coaching. I’ve taken two of his courses, which are predictably brilliant, and am close to completing my certification through the Creativity Coaching Association. This entry was posted in Writing Tips on April 15, 2012 by Donaleen. This can be a challenging time of year for folks in the Northern Hemisphere. We’re approaching the darkest day of the year. More of the day is in darkness than in light now. That can be unnerving. Especially since we live in a culture that fights the darkness. Our cities, where most of us live, are always lit up. When I wake up in the middle of the night, it’s impossible to determine the time without checking the clock. We even medicate away mild depressions. Some psychiatrists and mental health professionals regard a few weeks of sadness, hopelessness, and disinterest in life as symptomatic of clinical depression. We are expected to be eternally cheerful. Nothing against cheerfulness – I’m pretty cheerful myself – and nothing against medications that ensure a quality of life that might otherwise be impossible for those who suffer from serious mental illness. But I can’t help but feel that we deny ourselves important spiritual and creative nourishment when we succumb to “find your happy place” messages and when we value the bright lights of confidence and certainty to the exclusion of the shadow states of doubt, confusion, and vulnerability. Last week, I attended a candlelight ceremony put on by The Compassionate Friends, for parents whose children had died – whether by illness, accident, or any other means. The purpose of the ceremony was to ease the hearts of those who have suffered from this terrible loss – at Christmastime, when being in a happy perfect family is all but mandatory. Siblings are also invited to attend and so I lit a candle for my brother, Steve, who died by suicide six years ago, and for my twin sisters, Joan and Joyce, who died shortly after their premature birth a year after me, because the hospital in which they were born lacked incubators. It was humbling to be in the company of these brave parents, witnessing them share their tears from having lost what had been most precious to them. Lighting their candles to affirm their love, their courage, and their faith. I woke up the next day in a dark despairing place, but I took courage from those parents and lit a candle, took out my journal, and wrote about how I was feeling. At such times, I often dialogue with a source of Inner Wisdom; this time the voice invited me to take a number of deep breaths and “let the darkness embrace you. Don’t fight against it.” I did that and I felt better. Not great, but better. Embracing the darkness helped me to see the source of the feelings, to unearth some irrational self-judgment, and to replace it with thoughts grounded in reality. Perhaps this can be a helpful message in this time of the solstice when the darkness is most with us. This entry was posted in Writing Tips on December 14, 2010 by Donaleen. Lately I’ve been in the habit of spending my days fulfilling my commitments to other people – writing assignments, creativity coaching sessions, responding to correspondence, etc. It’s all good work that I enjoy, but there’s been a nagging sense of something missing – a barely perceptible existential cloud. Not serious but not great either. So last night I made a date with myself to get up at 6:00 AM, go to my dining table (as opposed to my computer, which is associated with “real projects” – my own or someone else’s), light a candle and just write for 20 minutes – about nothing in particular. When the alarm went off this morning, it felt like an act of utter futility. But I gently urged myself out of bed, sat myself down with tea and timer, and just started writing. The phrase, “Write into the sunrise” popped into my head so I let it lead me. I wrote about the gulls and crows that seem to greet each day with the same level of noisy unnuanced enthusiasm, about the silver sheen of the water, about the glimmer of apricot light on daybreak’s indigo clouds… Nothing in particular, but I found myself paying more attention than I usually do. The morning light moves swiftly – it’s impossible to track it – but the glide of my black pen across the gleaming white page made me realize how important if not essential it is to make the attempt. It expanded my sense of possibility. It dissolved my existential cloud. I’ve done this kind of exercise before – many times – I have the mounds of notebooks to prove it. I’ve often enjoyed it but there has always been a vague sense that it wasn’t real writing. There was no purpose. No one was going to read it. I’m beginning to think that that mode of thinking is a kind of madness – as though nothing has meaning unless it has been so decreed by some ego – whether it’s our own, someone else’s, or a cluster of unexamined socially endorsed assumptions. We write or we make music or we make art because we can, because it’s a vital part of our humanity. We don’t need a reason. Just write into the sunrise, for heaven’s sake. Fall in love with your day. This entry was posted in Creativity, Writing Tips and tagged creative writing, Creativity, making art, Writing Tips on September 8, 2010 by Donaleen.